This area has many historical items to show. Although there are many nice cottages for Hitler and his friends, the area was also a German headquarters. Many political and military decisions were made in these mountains. We made a coverage of the area devided in geografical parts. All pictures by Henk Adriaanse, 2009. 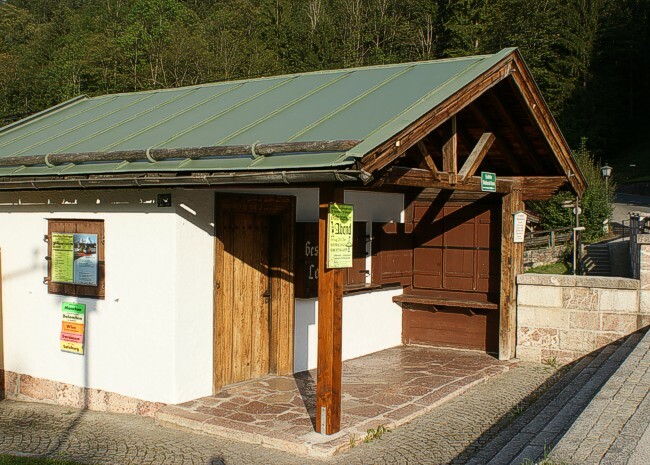 The guardhouse in Berchtesgaden checked the traffic going to the higher grounds.